The DBRP is a threshold for calculating the tariffs to be applied on imports. Tariffs are gazetted from time to time so that the cost of imported sugar is the same as the DBRP (the local cost of production), and the local industry then competes on a level playing field. 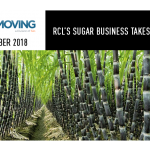 The DBRP has been at US$566 a ton for the past 14 years, which is woefully inadequate to ward off ever-rising levels of dumped imports, and landing South Africa’s sugar producers in a crisis from which they may not recover. 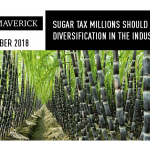 The South African Sugar Association (SASA) had applied for an increase to US$856/t, which it believed would protect the industry and put it on a growth path after years of decline. The SA government responded by approving a recommendation from the International Trade Administration Commission (ITAC) for an increase to US$680/tonne – less than half of the US$290/tonne the industry had requested. He said that this followed a chaotic period last year when, instead of adjusting the tariff upward, the government erroneously set it at zero. This caused imports to surge and before the error was corrected the big purchasers, spotting the gap, stockpiled massive volumes of sugar. In its application SASA stated that the industry is in “a state of rapid decline” and has reached a tipping point. It said farmers were buckling under a surge of imports and entire towns were vulnerable to collapse. 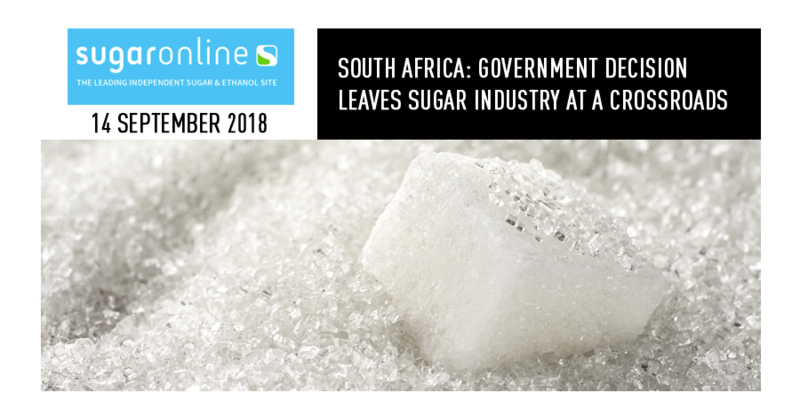 In 2017 imports rose to 500,000 tonnes, displacing 30% of local production and the equivalent to the output of three of South Africa’s 14 sugar mills. “The persistent flood of duty-paid imports will, if not urgently stopped, destroy the industry”, it argued. Baird notes that this, in anybody’s language, is crisis talk. “Coming from a responsible industry body, it indicates the desperate situation facing producers, farmers, millers and workers, and the need for urgent government action. “While the increase of US$114/tonne will bring some relief, it is still below the cost of production, and as SASA has pointed out, local producers will still be unable to compete with cheap dumped imports. The crisis continues and thousands of jobs remain at risk,” he said. A much rosier outlook would have realised, according to Baird, had the government granted the full increase that was recommended by the experts. As outlined in SASA’s application, a DBRP of US$856/tonne would spark long-term industry expansion. It would potentially result in more than 110,000 new jobs, increasing the area under cane and raising annual cane production from 17 million tonnes to 22 million tonnes. The resultant rise in economic activity would raise sugar’s total proceeds by 50%, from ZAR14 billion to ZAR21 billion. There would be significant support for black cane growers, including land transfers that could double from the current 76,538 hectares to around 165,000 hectares.